A stain, now what? Before you start cleaning the stain on your necktie, please check the tail end of the tie. There should be a black label indicating whether the necktie is made of silk, polyester, cotton or wool. Scarves and pashminas also have a black label, indicating what material they are made of. 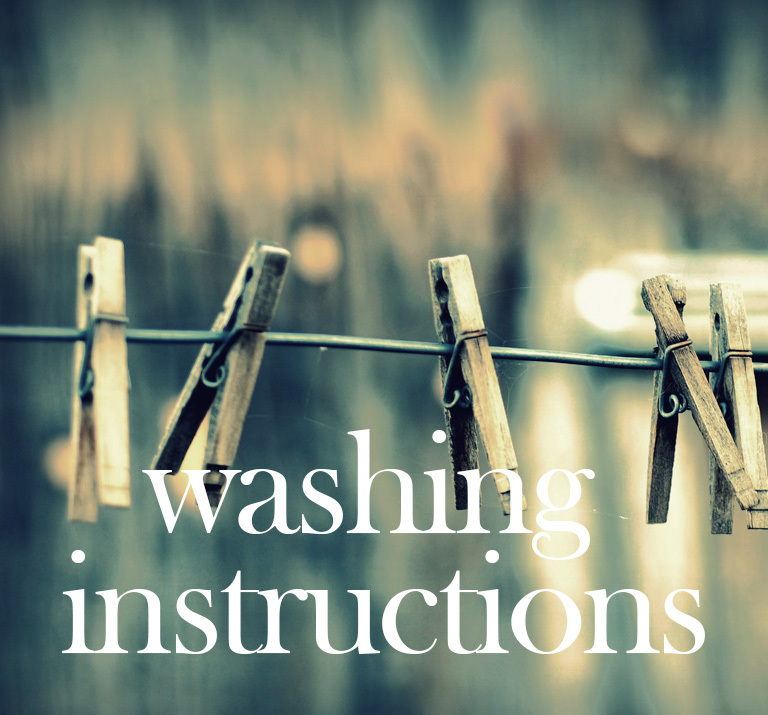 Our laundry and cleaning instructions were written with care and are based on our own expertise. If you follow these instructions, the items you purchased will stay nice for longer and you will enjoy wearing them more. A polyester necktie is easy to clean. Simply wash it in lukewarm soapy water, using a detergent for delicate laundry. Wash the necktie by hand and rinse carefully. Hang it outside to dry, hanging it from the tip (narrowest point) of the tie. If you want to iron the necktie, use the lowest setting on your iron. A wool necktie is easy to clean. Simply wash it in lukewarm soapy water, using a wool detergent. Wash the necktie by hand and rinse carefully. Hang it outside to dry, hanging it from the tip (narrowest point) of the tie. If you want to iron the necktie, you can. Simply use the ‘wool’ setting on your iron. 30 °C. Wash it carefully in soapy water, and do not rub or wring out. Rinse carefully but thoroughly using lukewarm water. Hang your scarf outside to dry or lay it down flat on a towel, so that it keeps its shape. Never put silk scarves in the tumble dryer! Ironing is best done when the scarf is still slightly moist, and at a low setting. Many irons will have a special ‘silk’ setting. You can also take your silk scarf to the dry cleaner’s to have it professionally cleaned. Polyester scarves are easy to clean yourself. You can safely wash a polyester scarf in the washing machine on a delicate cycle at 30 °C. It is best not to dry your polyester scarf in the tumble dryer; simply hang it on the clothesline. A pashmina scarf made of silk or fine wool or a combination of those is a very luxurious, but also delicate item. Try not to wash your pashmina scarf too often, but occasionally hang it outside at night to keep it fresh and clean. Would you like to wash your pashmina? Simply wash it in lukewarm soapy water, using a wool detergent. Wash the pashmina carefully and rinse immediately. Do not let it soak! Hang your pashmina scarf outside to dry or lay it down flat on a towel, so that it keeps its shape. Ironing is best done when the scarf is still slightly moist, and at a low setting. Many irons will have a special ‘silk’ or ‘wool’ setting. If you follow this advice, your pashmina scarf will last you a lifetime. at 30 °C. It is best not to dry your scarf in the tumble dryer; simply hang it on the clothesline. A men’s scarf made from silk and fine wool is a very luxurious, but also delicate item. Try not to wash your scarf too often, but occasionally hang it outside at night to keep it fresh and clean. Would you like to wash your scarf? Simply wash it in lukewarm soapy water, using a wool detergent. Wash the scarf carefully and rinse immediately. Do not let it soak! Hang your scarf outside to dry or lay it down flat on a towel, so that it keeps its shape. Ironing is best done when the scarf is still slightly moist, and at a low setting. Many irons will have a special ‘silk’ or ‘wool’ setting.